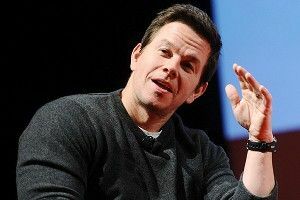 The Pride of Dorchester is going to learn a thing or two about blush: According to Deadline, Mark Wahlberg is set to star in the comedy Avon Man, as an unemployed dude who turns to pushing makeup to survive. Shame and mockery follow, but eventually “He survives the emasculation, relies on his charm and becomes a top seller. He then tries to save his town and help his struggling family by pulling in his macho unemployed pals to hawk beauty products so they can win a regional contest.” Hugh Jackman was once attached to the role, but dropped out due to scheduling issues; the project is also getting a new script, from Michael McCullers (Austin Powers: The Spy Who Shagged Me, Baby Mama). The last time we checked in with Mr. Wahlberg, it was to dock the guy for saying he would have single-handedly stopped the 9/11 hijackers. But now we come to praise him. In interviews Wahlberg has talked about how, early in his career, he had to block out what the guys from the neighborhood might say when making decisions as to what movies to do, and he’s stuck to that. In between his usual fare of safe-bet action heists and the like, Mark continues to drop into some odder fare. (Most immediate is the Seth MacFarlane talking-teddy-bear flick Ted, the trailer for which is surprisingly enticing.) Avon Man ultimately sounds like a fairly conventional underdog comedy, but it’s cool Wahlberg is down with taking on a role originally meant for Hugh Jackman (whose singing and dancing have always made him less of a straightforward, brawny leading-man type) and tweaking his own tough-guy image. Next: Wahlberg takes another page out of Hugh Jackman’s playbook and hosts the Tonys.